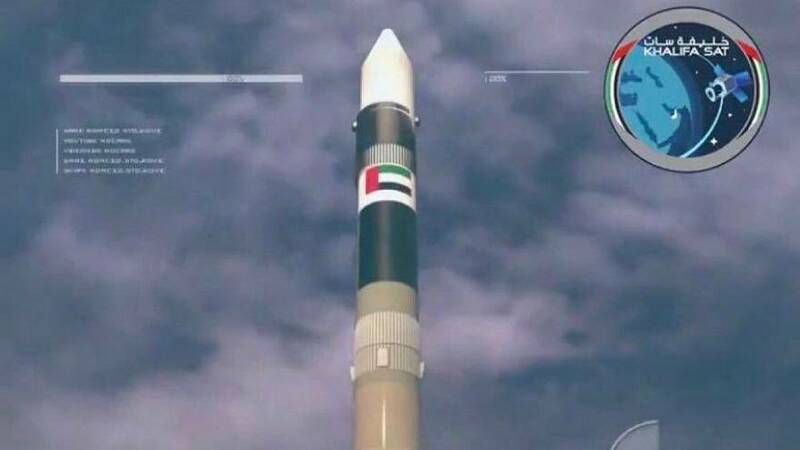 KhalifaSat, the first-ever Emirati-manufactured satellite successfully launched into space from Japan’s Tanegashima Space Centre on October 29. As well as KhalifaSat, the H-2A rocket also launched carrying Japan's environment satellite, GoSat-2. KhalifaSat is an Earth observation satellite set to monitor environmental changes, such as the effects of global warming in the North and South Poles. Images from the satellite will also help with urban planning and management in targeted areas. The successful launch was celebrated by the group of 70 Emirati engineers from the Mohammed bin Rashid Space Centre (MBRSC). A video posted on the centre’s official Twitter account shows Hamad Obaid Al Mansoori, Chariman of MBRSC and Abdulla Harmoul, the satellite’s launch manager in tears. “A true historical moment for the UAE,” read another tweet by the space centre. This is the third satellite launched by the MBRSC, coming after DubaiSat1’s launch in 2009 and DubaiSat2 in 2013. The feat highlights the UAE’s focus on expanding its space programme, which plans to send its first two astronauts to the International Space Station (ISS) in 2019 and send a probe to Mars in 2020. Emiratis have also showed their support on social media, many putting forward the country's scientific progress since its formation in 1971.